Meet the third cohort of TED-Ed Innovative Educators! Rwanda. Malaysia. Pakistan. Those are just three of the 11 countries represented by the third cohort of 30 TED-Ed Innovative Educators. [Learn more about the TED-Ed Innovative Educator program here.] As leaders within TED’s global network of over 250,000 teachers, these outstanding educators are dedicated to making the world better for learners everywhere by helping people make the most of TED’s free tools for teachers and students — including TED-Ed Lessons, TED-Ed Clubs and the TED-Ed Platform. Throughout the year-long professional development program, this small but mighty group will connect regularly across time zones and national borders to explore, create and share idea-based innovations that spark student curiosity. Below, meet the third cohort of TED-Ed Innovative Educators as they embark on a voyage of discovery. What inspired you to become an educator? 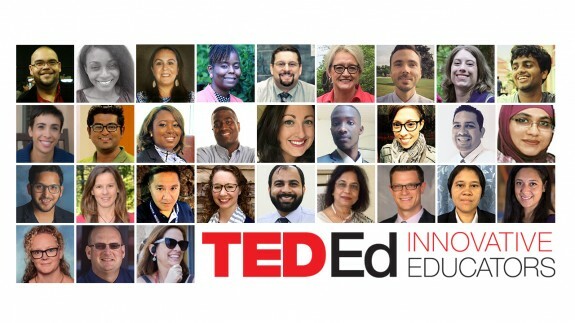 Meet the second cohort of TED-Ed Innovative Educators! How do I become a part of TED-Ed Innovative Educators? I am a masters student pursuing a degree in ESL.